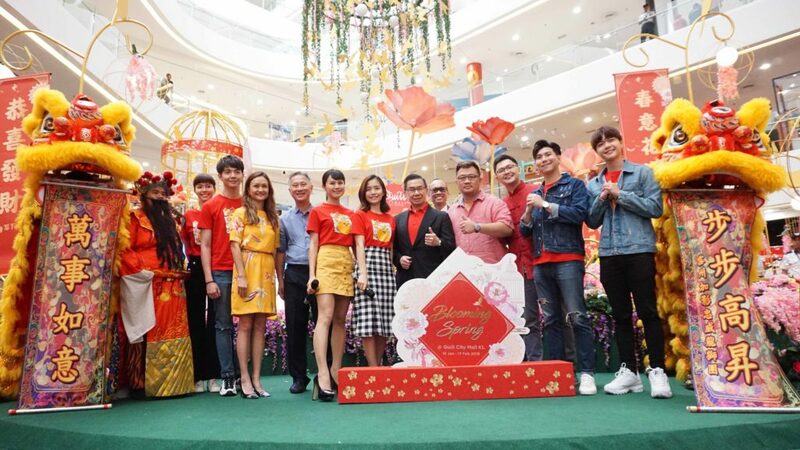 “This year, the mall’s Chinese New Year campaign, ‘Blooming Spring’ commences from 15 January 2019 until 17 February 2019 in Quill City Mall KL. We sincerely invite all shoppers to spend time with their friends and family in Quill City Mall KL during this year’s Chinese New Year celebrations, as well as indulge in a shopping spree and explore wondrous array of festive delights and products,” said Dato’ Ar. Michael Ong, Group Executive Director of Quill Group of Companies. A grand launch of “Blooming Spring” was held on 19 January 2019 at 1:00pm, in presence was Dato’ Ar. Michael Ong, Group Executive Director of Quill Group of Companies and 8TV celebrities. Customers and fans took pictures with their favourite artist and enjoy an early start to the New Year’s festive season at Quill City Mall KL.